Schaeffler's electrohydraulic variable valve lift system is currently used in Alfa Romeo, Chrysler, Dodge and Fiat engines. 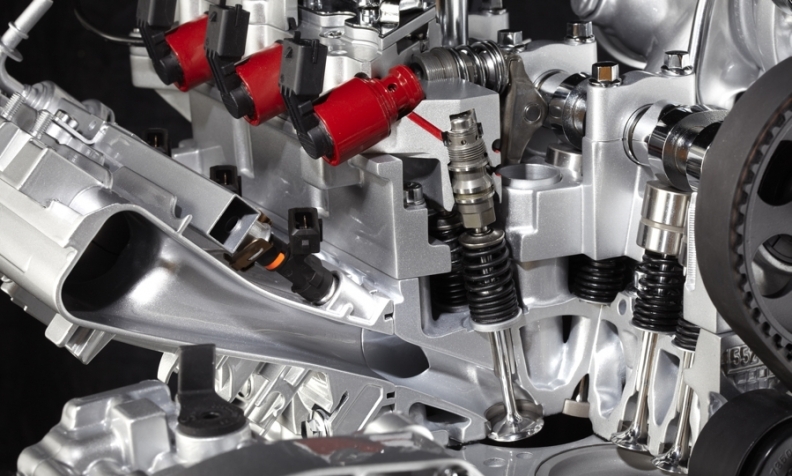 Jaguar Land Rover will become the second customer after Fiat Chrysler Automobiles for German supplier Schaeffler's fuel-saving UniAir electrohydraulic variable valve lift system, industry sources have told Automotive News Europe. Schaeffler's head of engine system development, Marin Scheidt, declined to confirm the new customer's name in an interview with Automotive News Europe, saying only that the second automaker to use the system is "in the luxury and sports car segment" and is not a German premium automaker. Multiple industry sources said the customer is Jaguar Land Rover, which declined to comment for this story. Jaguar Land Rover needs more fuel-efficient cars to help the company meet tougher EU CO2 emissions limits that come into effect in 2020, as well as tighter fuel-economy targets planned in markets such as the United States and China. Failure to do so could result in government fines as well as hurt the automaker’s chances of competing against rivals such as BMW and Audi. To reduce CO2 emissions Jaguar Land Rover is making its vehicles lighter through increased reliance on aluminum and by launching diesel-electric powertrains. The diesel-hybrid version of the new 335-hp Range Rover Sport emits 169 grams of CO2 compared with the 194g/km produced by the 254-hp diesel variant without electrification. Because it sells between 10,000 and 300,000 vehicles a year in Europe, Jaguar Land Rover qualifies for an exemption that gives it a default target of a 45 percent CO2 reduction between 2007 and 2020. This means JLR must achieve average emissions of about 130g/km by 2020, according to Brussels-based green lobby group Transport & Environment. Media reports suggest that if Jaguar Land Rover fails to reduce CO2 enough it might have to consider an alliance with another automaker that has a large fleet of small, low-CO2 cars to avoid fines. Schaeffler’s technology improves engine efficiency and reduces CO2 by optimizing the fresh air charge entering the combustion chamber. Initially arising from Fiat research, the system is currently used by Fiat Chrysler in Alfa Romeo, Chrysler, Dodge and Fiat models with engine sizes ranging from 0.9 liter to 2.4 liter. Since production began in 2009, 400,000 Fiat Group engines have been equipped with this technology, which won two PACE Awards in 2012 from Automotive News Europe sister publication Automotive News. The annual PACE Awards recognize innovation and technological advancement. Despite the accomplishments, Scheidt admitted: “It’s not easy to convince customers about the advantages” of Schaeffler’s entire UniAir system. He said many automakers, however, are open to purchasing pieces of the system for their powertrains. For instance, Schaeffler supplies key components for BMW’s Valvetronic and Audi’s AVS. That has not stopped Schaeffler engineers from further developing the UniAir system, experimenting, for example, with variable compression achieved solely by controlling the intake valves. In a joint project with Continental, the tweaked system reduced knocking at medium throttle and cut fuel consumption by about 4.4 percent. A similar reduction was achieved at full throttle, Schaeffler said. At a company gathering last month, Schaeffler also revealed a new potential application for UniAir: a three-cylinder engine that shuts down each cylinder on a rotating, alternating basis at low throttle. The process is claimed to achieve 4 percent fuel savings from a cold start while also providing vibration-control benefits.